Secure parking in underground car par for motorcycles free of charge. Breakfast basic but ok.
Good value for money, breakfast good, parking for motorbikes cheap and secure. Excellent location. The best part of this Hotel was : Booking out of it. Was one of the dirty places I have stayed. I had to give a bad review but I would not recommend anyone stay here. 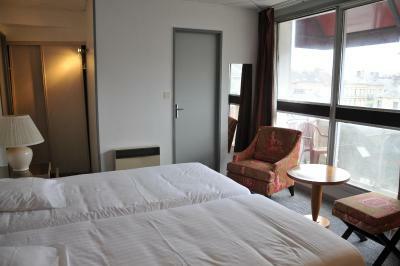 The room was clean, tidy, and even had coffee in the room which is unusual for France. Parking was good for our motorcycles in the underground carpark. Staff were very helpful and pleasant. As usual for a brit, I don't speak very good French but we soon got the hang of Google translate. Short five minute walk from the square in the centre where we ate. Breakfast was fresh, nice with plenty of choice. 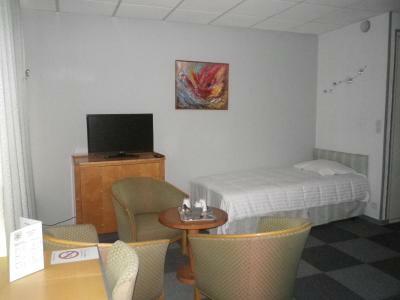 Overall a good place to stay for a night, especially for the money. Very friendly at reception. 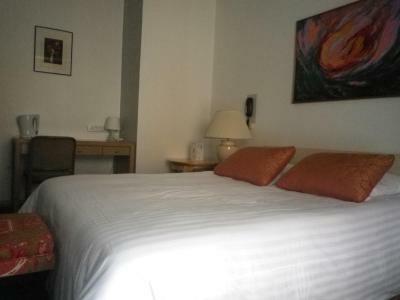 Comfortable, clean room and bed. Great breakfast. Very secure and FREE motorcycle parking. Will visit again. 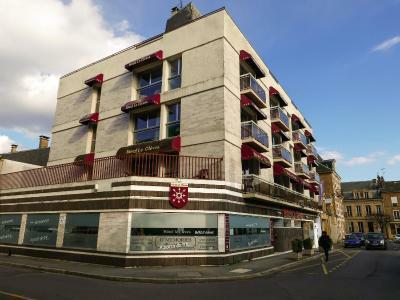 This hotel is located 500 feet from Charleville-Mezieres Train Station. 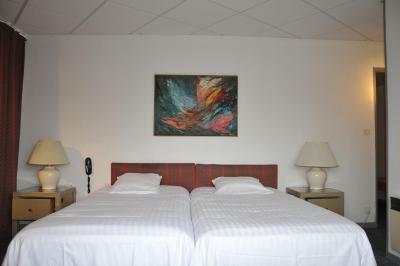 It is just 40 minutes by car from the Belgian border and offers rooms with an LCD TV and free Wi-Fi. 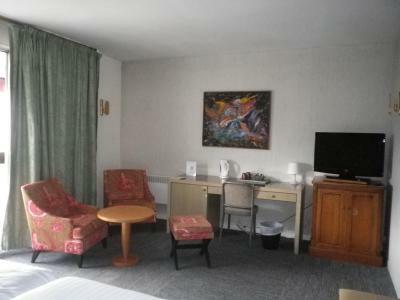 Rooms at Hôtel Le Cleves are simply decorated and feature individual works of art. 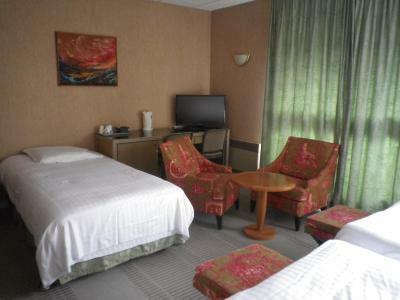 Each also has a flat-screen TV with foreign channels and a work desk. Hairdryers are available at reception. 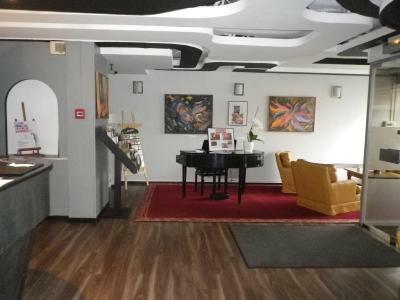 A buffet-style breakfast is served every morning, and in the evening guests can relax in the bar with a newspaper from the reception. 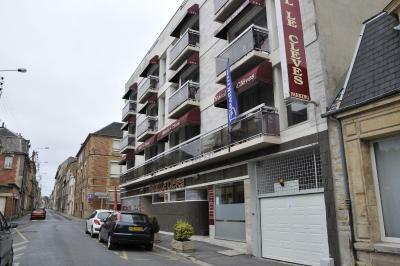 The center of Charleville-Mezieres is a 10-minute walk away and the banks of the Meuse River are just 2,150 feet away. 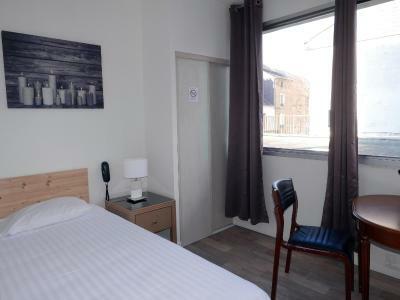 When would you like to stay at Hôtel Le Cleves? 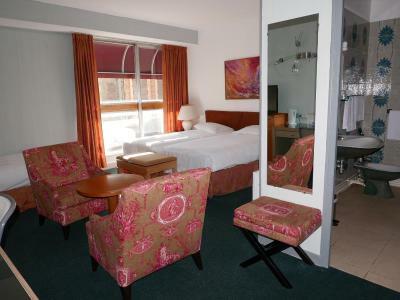 These simply decorated rooms include a flat-screen TV with satellite channels. Free Wi-Fi access is also provided. 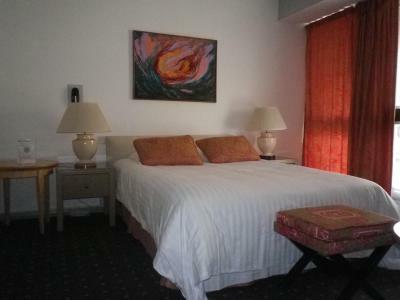 These well lit and simply decorated rooms include a flat-screen TV with satellite channels. Free Wi-Fi access is also provided. 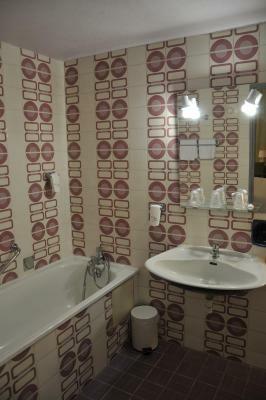 Decoration 70s for this hotel under renovation. Tea or coffee available in the rooms. TV and free wifi. Paid parking on site. 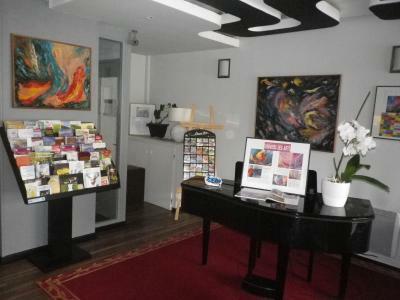 Very well located in super center and near the train station. House Rules Hôtel Le Cleves takes special requests – add in the next step! Hôtel Le Cleves accepts these cards and reserves the right to temporarily hold an amount prior to arrival. Every day from 06:00 until 23:00. Please note that only small pets are allowed in the property. Please note that a cold meal tray for dinner is available upon request at an extra cost on weekdays. Guests must request their meal before 14:00 for the same day. Bit basic, could hear people in the bathroom above us. 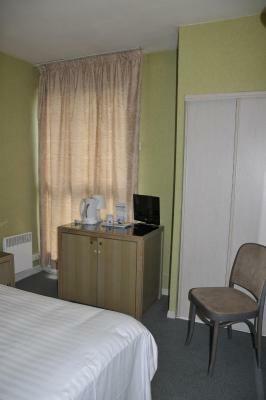 The Staff don't speak English or German, I do a few words of French but would in 2018 expect .orenfromHotel Staff. No internet, tv didn't work. Needs updating. 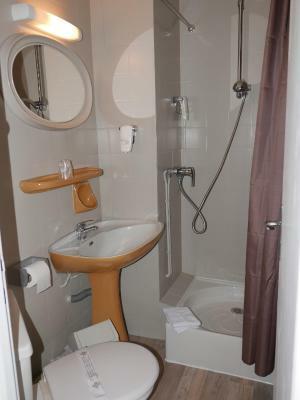 Poor plumbing.........normal for most French hotels in my vast experience of travelling in France. Very cramped! Excellent 1st Class reception staff. 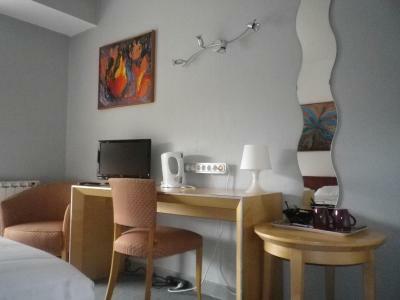 Appalling room and very poor breakfast. Booking.com price was more expensive than the displayed hotel price. Location and parking were fine. Bathroom was shabby, no shower holder. Filthy carpet on stairs leading to room. Surly reception staff. Parking was 5 euros. Breakfast was too expensive at 8 euros, go to the square and have something much cheaper. I guess you get what you pay for.